In The Field Magazine was launched in November 2004 covering Hillsborough County. In September 2006 Polk County was launched. The Hillsborough County publication is endorsed by the Hillsborough County Farm Bureau and the Polk County publication is endorsed by the Polk County Cattlemen’s Association. It is a joint effort to raise awareness of agriculture, the farmer, rancher and the blood, sweat and tears that goes into getting the safest food supply to your table each day. In every issue you will find positive editorial and clean advertising designed for readers from young to old. Each month we look forward to partnering with our advertisers in the effort to promote products and services. We are proud to offer the very best product and deliver a message to a target demographic with a positive light. In The Field Magazines are distributed via direct mail, as well as in racks and on counter tops to high traffic areas. These areas are stocked weekly, putting your ad out to the buying communities. Advertising is the engine that drives In The Field and makes it possible for us to continue to “Cover What is Growing.” Advertisers need customers to stay in business and that is what makes the relationships between us crucial. Our MISSION today remains the same as the first day; to inform and entertain while serving as a conduit between valued advertising customers and our readers. We also strive to create a bond with those not directly involved in agriculture in order to build a better understanding of the industry. 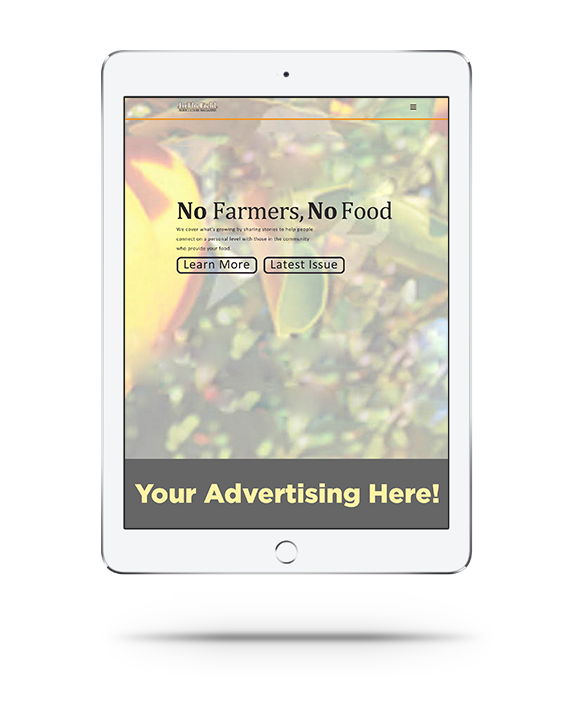 In The Field Magazine reaches out to all of Hillsborough and Polk counties to give the reader and the advertiser updated and timely information of what is going on in the realm of agriculture, from local happenings to state wide events, feature stories, and interviews. Our magazine is packed cover-to-cover to keep you informed! From everyone at Berry Publications – we appreciate your confidence and support!